After working in this fabulous industry for over 13 years I have watched so much change month to month in the photography world! One part of weddings that has not changed too much is the actual day! I share with you my thoughts from a professional point of view as to what typically lends itself best for capturing some of the most candid moments that you will cherish for a lifetime. About one-two hours before the ceremony, I prefer to meet the bride and her bridal party at the venue where she is getting ready. This could be at a hair salon, hotel room or her home. I typically ask the bride not to start getting ready until I arrive so I can capture images of her having her hair and make-up being done. I also use this time to collect the must-have significant details that she’ll want to remember for years to come, for example around the room there will be an array of bags, shoes, jewelry, mother of the bride’s hat, make up, tissue paper and even a champagne bottle. All of these are details specifically chosen for this day and deserve to be captured! At some point the flowers will be delivered so I take the time to shoot the bouquets individually as well as candids of the mother of the bride or bride herself fastening the father of the bride’s or young page boy’s buttonholes, as well as the bride’s maids as they collect their bouquets. I will capture all the details available at this time! While the girls are all getting ready to depart we will take some group shots before the ceremony to alleviate being in any rush at all after, getting the wedding party to cocktail hour is a must on my list! They say it is becoming more common for the groom to have an equivalent ‘getting ready session’ with his best men and ushers, my assistants have been doing this for years! 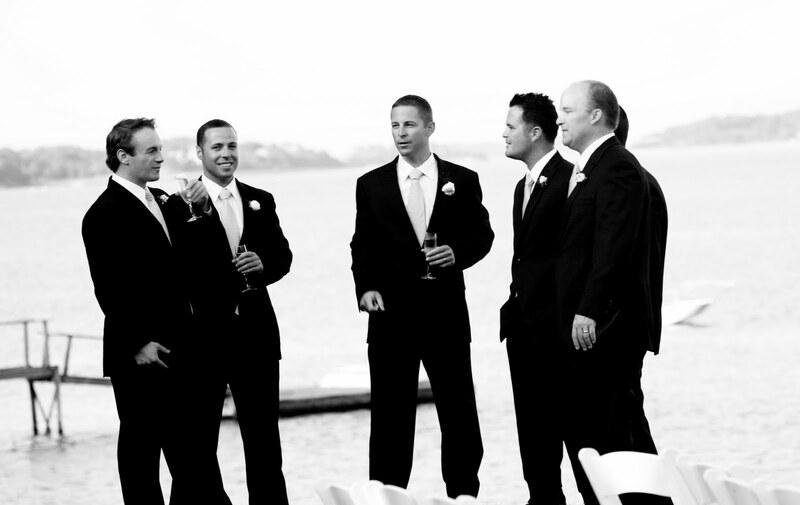 We will collect the candids and if need be ‘staged’ images of the groom having his tie adjusted, laughing with his friends, having a celebratory drink or cigar, fussing in the mirror and even applying cologne. Shooting candids not only of the groom but of his group such as the best man rehearsing his speech will occur, his mum brushing off his shoulders and perhaps his dad looking on full of pride. As with the bridal party, the smaller details such as button hole flowers, cufflinks, shoes, hats and ties are captured. Thanks for sharing the amazing photography services. Will refer them to my cousin for her wedding shoot next month. Booked one of the lovely Seattle venues for her spinster's party. Booked best caterer and Dj. Saw many decoration ideas of ribbons and flowers. Bought dresses for both of us. Hope everything goes according to my plans.